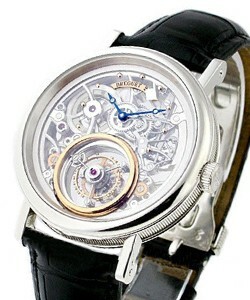 This watch is also known as: 3757pt/1e/9v6 , 3757PT , 3757PTor3757PT1E9V6or3757PT/1E/9V6 . 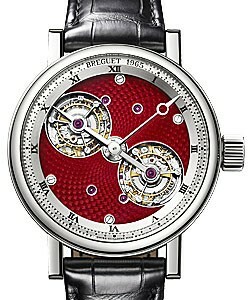 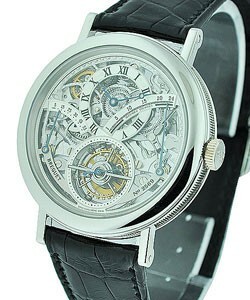 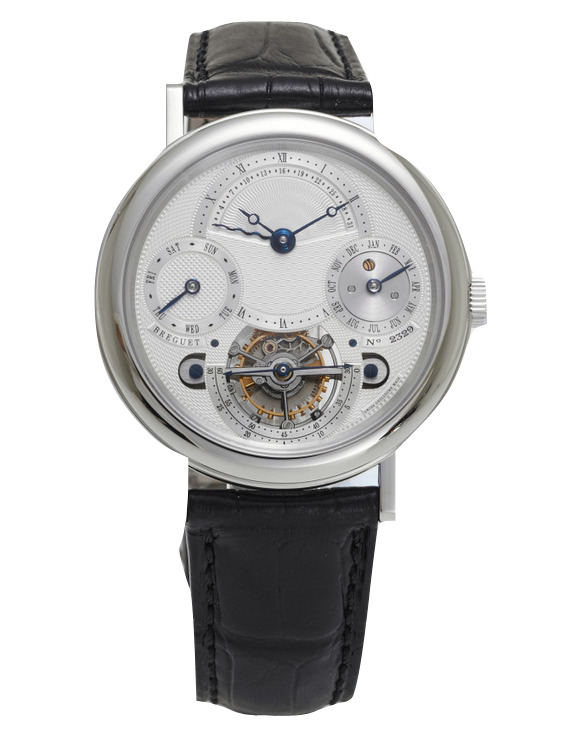 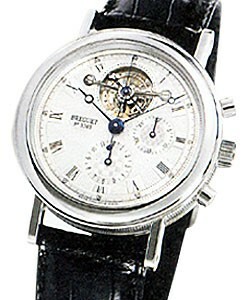 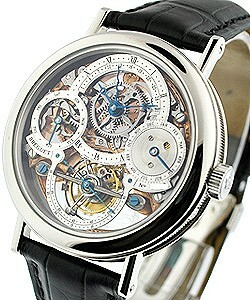 Breguet "Tourbillon Perpetual Calendar" Platinum Men's Wristwatch. 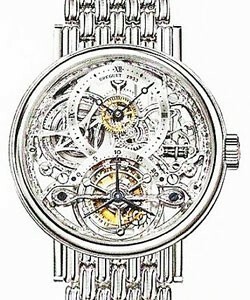 From the Grand Complication Collection by Breguet, this "Tourbillon Perpetual Calendar" watch features,Beautifully Hand Engraved (engine-turned) Silver Dial with the Time diplay offset towards the top part of the dial.Tourbillon located at the 6 o'clock hour marker with integrated seconds hand.Retrograde Date indicator located at the top of the dial.Roman Numeral Hour Markers.Blued "Breguet" Style Hands. 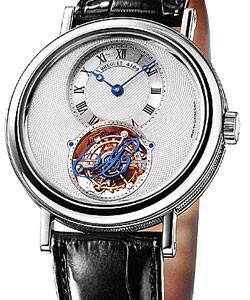 Transparent case back allows to view the hand decorated movement.Approximate 50 Hour Power Reserve. 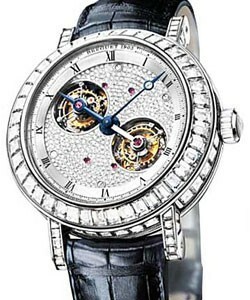 The Breguet "Tourbillon Perpetual Calendar", 3757PT/ 1e/9v6 is a highly recognizable timepiece with a very strong personality.